Miki Naftali and Danielle Naftali,whose move to join the family’s Naftali Group has prompted her father to ‘think how the company may look 20 years down the road. Danielle Naftali didn’t get much sleep in the days before the opening party for her family company’s new West Village condominium last week. She arranged for the lighting of more than 1,000 candles and auditioned an electric violinist who plays in the subway. With hours to go before guests arrived, in a cocktail dress and heels, she grabbed a mop and helped clean the room. “You have to be creative in this market,” Ms. Naftali said, referring to the slowdown of luxury real estate. Naftali Group’s West Village development, called the Shephard at 275 W. 10th St., has 38 apartments ranging in price from $6 million to $30 million. “It’s important to stand out,” Ms. Naftali said. 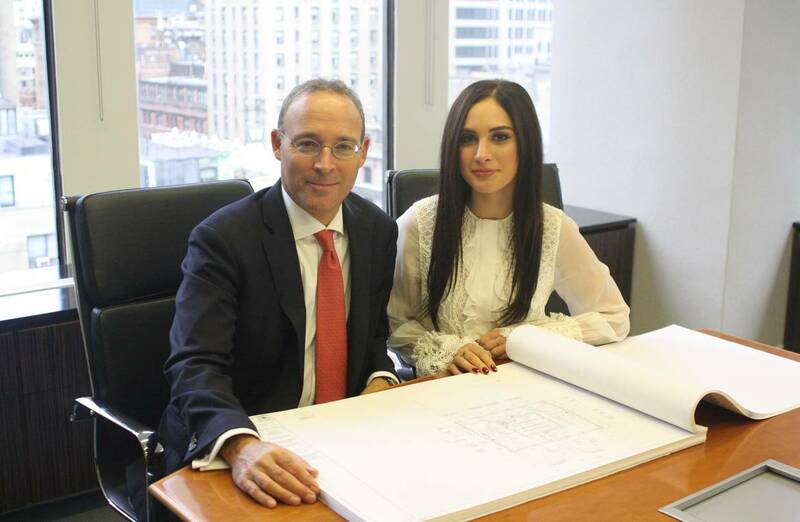 Only 18 months out of Syracuse University, the 23-year-old Ms. Naftali is playing a bigger role with a take-charge attitude reminiscent of her father, Miki Naftali, an Israeli immigrant who appeared on the New York real estate scene when he oversaw the conversion of a portion of the Plaza hotel into condominiums for Elad Properties. Ms. Naftali’s title is manager of marketing and design, and she has embraced the work, helping launch sales at 275 W. 10th St. as well as 221 and 210 W. 77th St., two new condo buildings on the Upper West Side. For Mr. Naftali, the addition of his daughter to the company has made him “think how the company may look 20 years down the road.” At just 54, though, Mr. Naftali said he is too young to think about succession. Still, Ms. Naftali expresses aspirations to take the helm someday. She said her immediate goal is to work on a Naftali project from site acquisition to sales closings. “I want to get that fundamental understanding from day one to the last day,” she said. Ms. Naftali faces a tough road if only because of her gender. Real-estate development is still very much a male-oriented business. Women “have to outperform,” said Mary Ann Tighe, chief executive of the New York region for CBRE Group Inc. But increasingly the city’s real-estate families have become meritocracies, Ms. Tighe said. Other daughters who have proved themselves include Ivanka Trump, Helena Durst and Samantha Rudin, she said. Mr. Naftali was equally determined when he moved to New York from Israel in 2000. He arrived to manage a New Jersey office for Isaac Tshuva, Elad’s chairman. Within four years with Elad, Mr. Naftali had arranged the $675 million purchase of the Plaza hotel. Ms. Naftali didn’t show interest in the real-estate world growing up and studied psychology in college. She fell into real estate without any expectation from her father. Mr. Naftali initially expressed surprise when his daughter approached him about getting into the business. When she joined as a summer intern, she started as a receptionist. “I told her she is not coming in as my daughter, she’s coming in as an intern,” Mr. Naftali said. “You’re not coming here to be a manager from day one.” -Mr.Naftali said. Unlike her father, Ms. Naftali finds it difficult to separate family and career.